Jarvis, a former anchor/reporter for NBC4 in Washington, joined PHI in 2004 as manager of media relations. 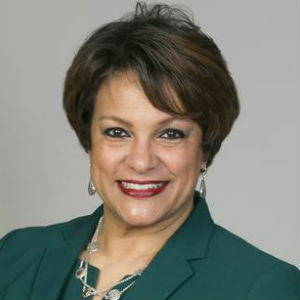 She has been PHI’s face and voice of radio and TV commercials for Pepco, Delmarva Power and Atlantic City Electric, which together serve about 1.9 million customers in four states and the District of Columbia. Before joining PHI, Jarvis had 20 years of experience in TV and radio news and advertising. She co-anchored the weekend morning news at NBC4 from 1994 until 2003 and also worked as a general assignment reporter during a more than nine-year career with the station. Previously, she co-anchored the weekday morning newscasts for the CBS affiliate in Cleveland. Jarvis graduated with a degree in International Business from Hope College in Holland, Mich., and began her career in sales, marketing and advertising in the pharmaceutical industry. She also served as a district sales manager for General Electric and was a stockbroker for Paine Webber before breaking into TV and radio sales for WWJ NewsRadio 95 in Detroit and WVIT-TV 30 in Hartford. Debbi currently serves on ten nonprofit boards. The Washington Business Journal has recognized her as part of the distinguished group of “Women Who Mean Business” and as a Minority Business Leader.